REHAM FAGIRI does not have a typical start-up story. Her journey started when, at 16, she left her family in Sudan to attend university in America. After getting her degree(s), Fagiri landed at Goldman Sachs as an engineer and analyst, holding other positions in the company during her tenure there, and participating in Goldman Sachs’ 10,000 Women Initiative in order to share her knowledge with and empower other women. 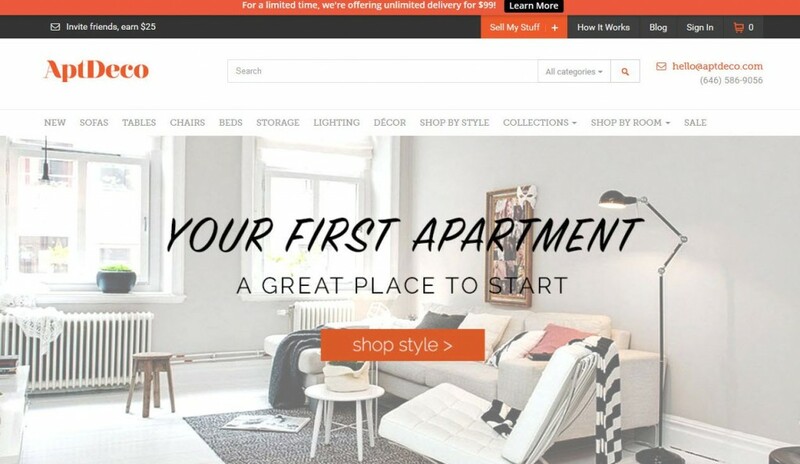 Now, she is the CEO of AptDeco, a company that makes it safer for women in New York City to buy and sell furniture without having strangers showing up to their homes. 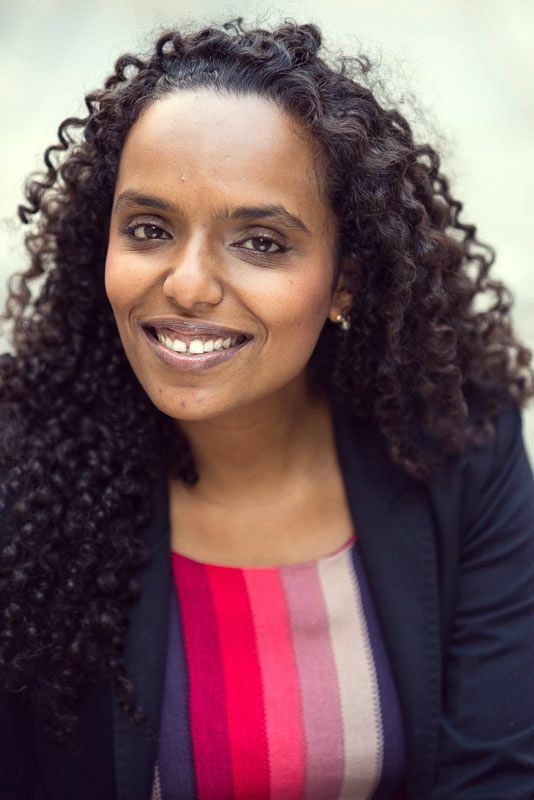 Reham spoke with Lady Clever about what it’s like being a female engineer, Sudanese immigrant, and tech entrepreneur, and how she uses her skills to aid other women. What are your goals for AptDeco? We want to make the exchange of home decor easy for everyone. So whether you’re looking to sell or are in the market for a new piece to accent your home, we hope to serve as the one-stop shop for everyone’s furnishing needs. How did you come up with the idea for such an innovative service? I tried to sell my furniture on Craigslist right before graduating from business school. The experience was pretty cumbersome and scary for a single female, given the sheer amount of strangers that visited my apartment. 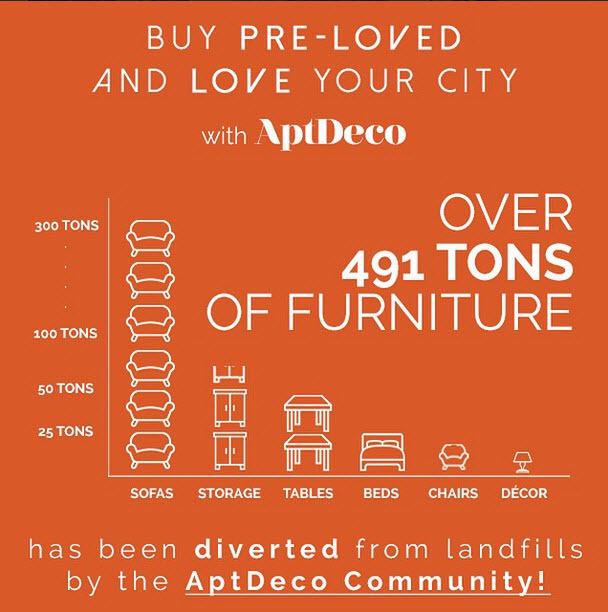 Ever since that experience, I’ve been determined to create a safer and more secure platform for people to buy and sell their furniture… that’s how AptDeco was born! What was it like leaving your home in Sudan at such a young age to pursue your goals in the United States? Growing up, I’ve always been fiercely independent, but when I left my parents at 16 in Sudan to attend university in the US, I couldn’t help but be nervous. Having a strong support system and a family that advocated for my success gave me the confidence to succeed through engineering school and land the job of my dreams at Goldman Sachs in NYC. What drew you to the tech world? I come from a family of engineers, so I’ve always been obsessed with anything tech-related. Did you recognize any challenges you faced as a woman in your engineering program you feel the male students might not have faced by virtue of their gender? Being one of a handful of females in a lecture hall of hundreds of students was certainly noticeable, and sometimes nerve-racking. I found it comforting that the engineering school’s student composition was diverse, with students coming from all corners of the globe. As an international student, I was able to find comfort in the diversity of the people who surrounded me, which helped me move forward and succeed. How has being a Sudanese immigrant affected your experience as a tech entrepreneur and founder? In Sudan, strong family ties and an alignment with the community are really important foundations of a person’s life. It’s all about having a sense of belonging to a community and to your family that helps everyone learn and work together as a unit. Starting a business is a little bit like building a family — my time in Sudan has helped me apply this learning to build the team at AptDeco, and it’s constantly steered me on track to working and succeeding together. You’ve worked with Y Combinator, an American company that helps start-ups get off the ground financially. Tell us about your time with YC. YC was hands-down one of the most productive three months of my career. I learned the art of just focusing on the things that matter — in YC speak, that’s “making something people want.” It was all about 1) talking to customers, and 2) building the product. Anything else is a distraction. What was your work with Goldman Sachs’ 10,000 Women Initiative like? The initiative encouraged employees to have their own side projects helping out other women, and I chose to help launch a Nigerian handbag entrepreneur. She was making all her handbags at home and had a very international clientele via word-of-mouth, so I helped her obtain the exposure to reach a much broader audience. We designed and launched an e-commerce store that featured all her handbags. What did you find to be the most rewarding part of working with 10,000 Women Initiative? It was so inspiring to work with female entrepreneurs from around the world and help them in shaping their businesses. I saw firsthand how providing basic business assistance transformed these women’s lives and the communities that they operated in. I’ve been lucky to witness the effects of the phrase “When you educate a woman, you educate a community” in action. You’ll have a lot of ups and downs, so enjoy the ride, not the destination. And, finally, what’s one piece of advice you would give to a woman wanting to found a start-up or join the tech world? Go for it! Also, learning to code is a huge plus. Find something you’re passionate about, and make it better. You may find, at times, that you’re the only female in the room — think of it as an advantage because you’ll bring a different way of thinking and execution. Talk about who run the world — girls! Keep up with Reham and her safe furniture resale website, AptDeco, and follow them on Facebook, Twitter, and Instagram.